If you’ve been around the net for a while you’ll probably be able to recall the days when Groupon became a massive hit with its popular deal-a-day vouchers and coupons. Now, Groupon is banking on a new business model to reignite interest in its vouchers, by focusing on providing more than just big savings deals. 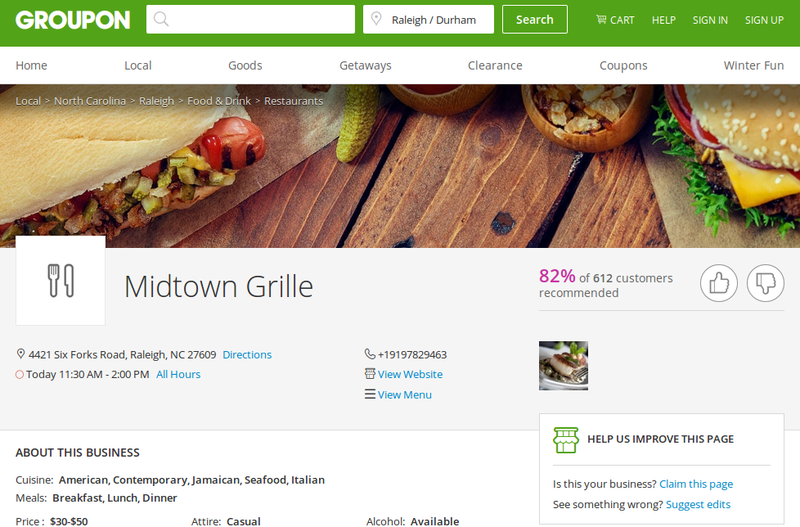 Groupon now looks much more like a business listings directory, and that’s great for consumers. That’s because Groupon is still offering coupons and vouchers just about every kind of service you possibly imagine, and they’re right there alongside the detailed business info it now provides. Check out this Midtown Grille listing to see an example of what’s on offer.